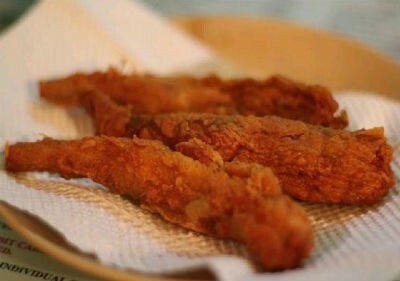 A simple and popular fried fish snack. Serve as a starter or appetizer with chutney or sauce. 1. In a bowl, break the eggs and beat well. Keep aside. 2. Mix the red chilli powder, coriander powder, turmeric powder and 1 tsp of salt. 3. Add the fish fillets and mix well. 4. Cover and keep it in the fridge for 1 hour. 5. Heat 2 to 3 tblsp of oil in a nonstick pan over medium flame. 6. Saute the onions, ginger, garlic, green chillies and curry leaves for 2 minutes or until onions turn light golden brown. 7. Add the marinated fish and mix well. 8. Cook for 5 minutes and remove. 9. Using a fork, gently flake the fish into small pieces and transfer to a bowl. 10. Add the lemon juice, fennel powder and garam masala powder. 12. Add the remaining salt to maida and add 3 tblsp of oil. Rub well. 13. Pour 2/3 cup of water and knead well to make a stiff dough. 14. Cover with a damp cloth and keep aside for 30 minutes. 15. Make small/medium balls of the dough and roll them into a thick round. 16. Add 1 or 2 tblsp of the fish mixture and roll them like a spring roll. 17. Seal the edges with a little water. 18. Heat oil for deep frying in a nonstick pan. 19. Fry the prepared rolls until golden. 20. Remove and drain excess oil. 21. Dip them in the egg mixture and fry for another minute or until the egg is cooked. 22. Remove and drain excess oil. 23. Serve hot with chutney or sauce. Tip: You can also steam cook the rolls instead of deep frying. 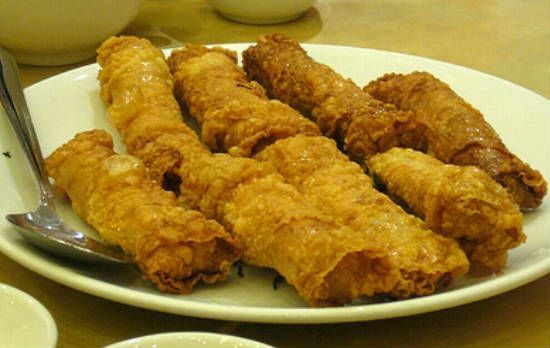 Feel free to comment or share your thoughts on this Fried Fish Rolls Recipe from Awesome Cuisine.